Woody Allen once said, “In my house, I’m the boss. My wife is just the decision maker.” This is a great one-liner, and it also hints at something that I’ve found in my research on the happiest retirees. 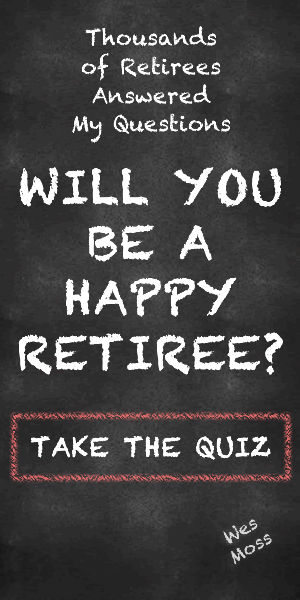 The vast majority of happy retirees are married or have a domestic partner. Indeed, about 75% of participants I interviewed for my book “You Can Retire Sooner Than You Think” were part of a couple. So, while we love to poke fun at marriage, a strong partnership is often the foundation for a happy life, both before and during retirement. Don’t just take it from me. Investment guru Warren Buffett is also a believer in this eternal truth. The beloved Sage of Omaha recently shared with Forbes that accumulating wealth and making money is meaningless unless you have someone to share it with. In the heartfelt HBO documentary “Becoming Warren Buffett,” he says, “There were two turning points in my life. One when I came out of the womb and one when I met Susie,” as he affectionately called his wife. Buffett and Susan met when Susan was going to be rooming with Buffett’s youngest sister as a college student at Northwestern University. The two were married until Susan passed away in 2004. During their marriage, Susan worked as a director for Berkshire Hathaway, served as the Buffett Foundation’s president, and was the 17th richest woman in the world. Buffett refers to marriage as “the most important decision that you make.” He explains, “who you marry, which is the ultimate partnership, is enormously important in determining the happiness in your life and your success.” When speaking about marriage, Buffett describes it as a personal advantage to have a wonderful partner.